Brad Blair creates detailed sculptural monstrosities that allude to the issues of genetic engineering and biotechnology unfolding in today’s world. Brad Blair is an award winning, emerging artist and Maryland native who recently earned his M.F.A. from Florida State University and a B.S. Degree in Fine Arts, with a focus in Ceramics, from Towson University. 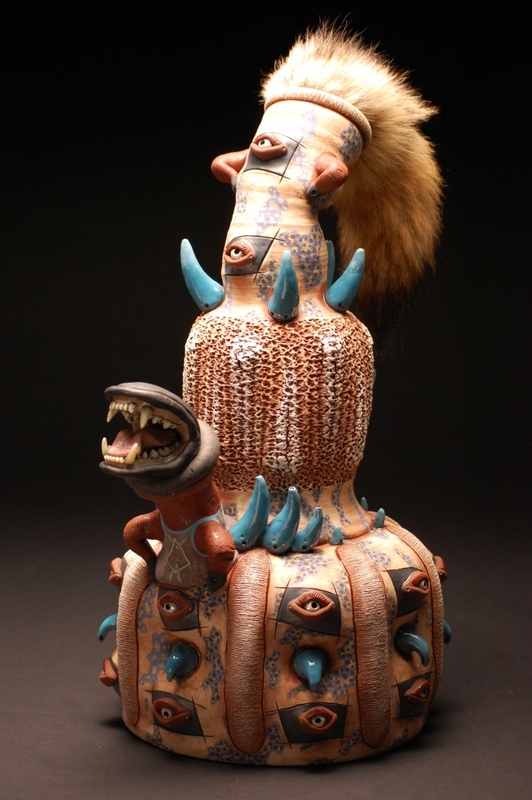 His other-worldly artwork stems from interests in the biological sciences, cryptozoology, the future of genetic engineering, and the unknown. Brad has been actively exhibiting his artwork in both national and international juried exhibitions. Currently, Brad is teaching classes to all ages at Baltimore Clayworks and is creating artwork of his own within his at-home garage studio located in Street, Maryland.